The lighting in a home can change the mood of a room and also it can change the perceived size of a room. The two main key factors and aspects in interior designing are placement and type, and they work together and in coloration with color selections, room size, availability of natural light and furniture selection. When all of the above mentioned elements are perfectly combined together, they then transform a room into superb combination of functionality and style. The method for the usage of lighting can either be an addition or subtraction from the overall colors of a room and can be a huge impactor in the overall appearance of the room in terms of its size, style and décor. Darker colors like black, dark blue, dark brown, dark grey etc. can make a room feel smaller and cramped, whereas the lighter and bright colors such as white, off white, beige, sky blue, sea green etc. can make the room look bigger, brighter and can have a much positive impact on the mood of a person. The illusion of the space can be described by light reflecting off of the surface of the walls. There are some methods of lighting present that can help to further brighten the room and increase the reflection of light off the walls. Furthermore, directional lighting, such as a track light, can often make the wall colors much softer. Another method of lighting could be the recessed lighting in which the glow of the light falls on the floor and not on the walls. 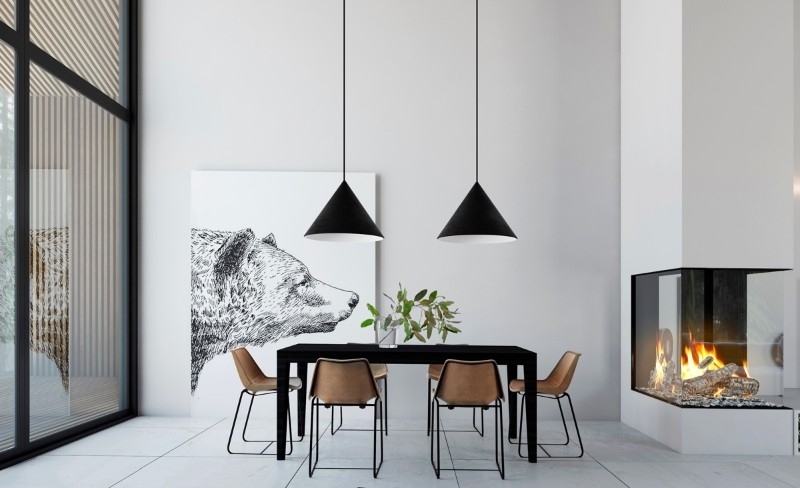 This is actually the opposite of lights that are hung from the center or the ceiling of the room and rather than pointing a light to one particular area, the light is spread out equally on all areas of the room in recessed lighting. The choice for lighting is dependent upon the preference of the user and how they would want the décor of the room / house. Directional lighting is actually the opposite of recessed lighting. In a directional lighting approach, light is actually pointed or specified towards a certain area or an object rather than spreading out light equally all over the area. Lights are usually hung over from the center of the wall or from the top of the ceiling such as spot lights or chandeliers. These lights target at one specific area such as a wall painting, a vase, the entrance pathway, flowers etc. so you can consider placing them on the walls. 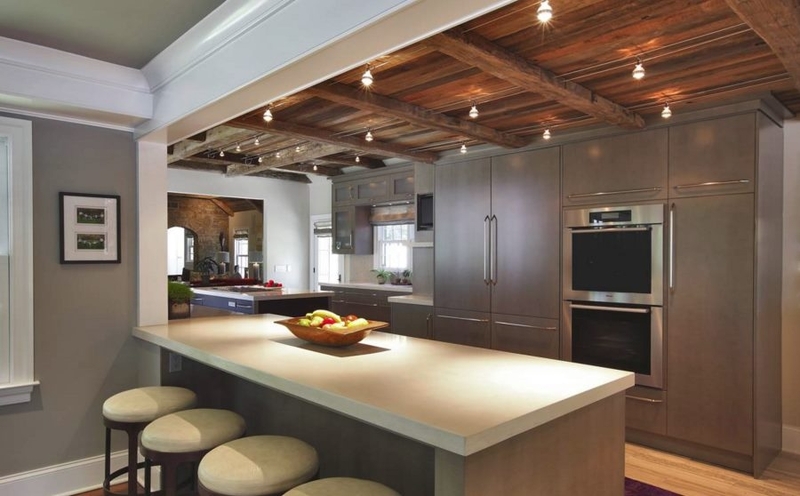 One of the big roles of lighting in the interior designing is the functionality. There has to be a purpose for every lighting fixture otherwise it would result in wastage of electricity. Chandeliers are not only used in large rooms or hallways but they can also be used for kitchens, bedrooms, entrances, dining rooms etc. The size of the chandelier will vary however depending on the size of the room. Chandeliers come in different shapes and designs and they need to match the theme and design of the room as well. The size is decided for a chandelier depending on the width and length of a room. Furthermore, there are different categories of bulbs that are available such as halogen bulbs, LED bulbs etc. which have different advantages and disadvantages such as brighter light, longer life, product reliability etc. Considering all the above factors, you can decide the type of lighting that you would prefer in your house. Both types of lighting either the natural light or man-made lighting can help with the illusion of creating space. For a darker room, find ways to bring in more full-spectrum natural light. If the room does not have sufficient lighting, it will feel cramped. The situation can also be worsened by choking up the room with different furniture such as a coffee table, sofas and chairs. By using different sized corner lamps and wall lightings you can brighten up any room and this technique can be applied to any home or office setting. Natural lighting is preferred above man-made lighting because it shows off colors better and adds to the visual space of a room by bouncing off reflective surfaces. Consider skylights or large windows if you want more natural light, or use sheer drapes and curtains to allow the maximum amount of light from your current windows. Lighting is an essential factor when it comes to décor of a house. Different methods of lighting are mentioned above and none of them is either right or wrong. It all depends on the choice of the user, their mood, the environment, the design and theme of the room and the person’s choice of colors.